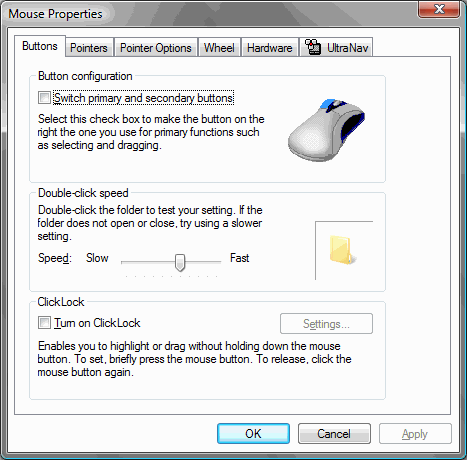 The aim for this Wiki is to promote using a command to open up commonly used applications without having to go through many mouse clicks - thus saving time on monitoring and troubleshooting Windows machines. /W Removes data from available unused disk space on the entire volume. If this option is chosen, all other options are ignored. The directory specified can be anywhere in a local volume. If it is a mount point or points to a directory in another volume, the data on that volume will be removed. 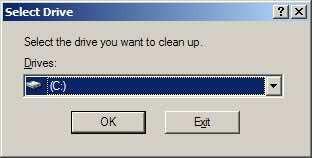 Anything that would otherwise appear within the console screen, will be written to the file. Very useful for creating logs of running scheduled tasks. I saw FINDSTR listed above but nobody mentioned FIND. This command is incredibly useful to search the list returned from another command. Example: netstat -an | find ":6667"
This command will find any IRC traffic on your computer. Substitute another port or an IP address to narrow down the returned results accordingly. It allows you to resize your cmd.exe window. The cmd.exe window normally has 300 lines and 80 columns, which can be quite small sometimes. This opens the command-line window without the mouse. It is the quickest way I've found to get it up. Combine with the cmd \k *command* mentioned above. Problem Steps Recorder - A beautiful new feature in Windows 7 and Server 2008 R2. cacls (Change Access Control Lists) is a command line utility for Microsoft Windows to change Access Control List (ACL) permissions on a directory, its subcontents, or files. An access control list is a list of permissions for a securable object, such as a file or directory, that controls who can access it. It is a real life-saver on a file-server when specific file(s) and/or directory(s) permissions have to be modified. changes the path including the drive to the directory where the batch/cmd files is located. For example, when you have your bat/cmd in z:\test, and you open up a shortcut to the bat/cmd from your desktop, with the command inside your bat/cmd you can change the path to z:\test and go on from there. chkdsk (or checkdisk) is a command that checks the disk surface for physical errors or bad sectors. It can also fix logical file system errors. I seem to regularly use "sc stop wuauserv", which turns off the Windows Update service. Primarly to make it stop nagging me to restart every few minutes. 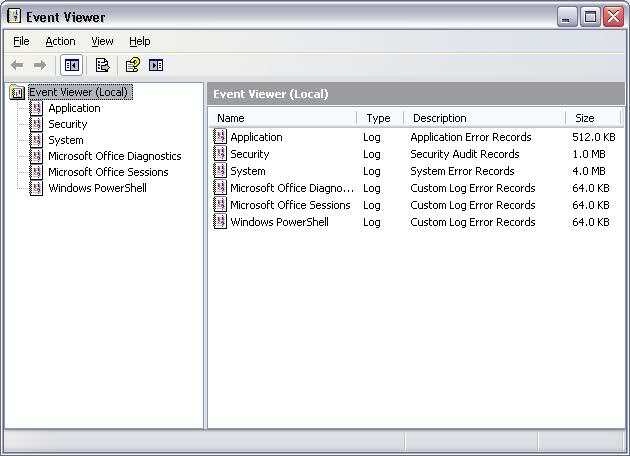 To open the Windows Event Log (Event Viewer). Note: The times that these commands report are how long the Workstation and Server services have been running for. These are normally started with the rest of the OS, but I've seen secure builds that disable Workstation. Depending on the version of Windows, Scheduled Tasks, and for command-line goodness, the schtasks or at commands. /Create  : Creates a new scheduled task. /Delete  : Deletes the scheduled task(s). /Query  : Displays all scheduled tasks. /Change  : Changes the properties of scheduled task. /Run  : Runs the scheduled task immediately. /End  : Stops the currently running scheduled task. \\computername: Specify a remote computer (default local machine. time: Specify the time when the task is to run. /interactive: Allow the task to interact with the desktop of the user who is logged on at the time the task runs. /every:date,...: Schedule the task to run on the specified day or days of the week or month. /next:date,...: Schedule the task to run on the next occurrence of the day (for example, next Monday). command: Specify the command, the program (.exe or .com file), or the batch program (.bat or .cmd file) that you want to run. id: Specify the identification number that is assigned to a scheduled task. /delete: Cancel a scheduled task. If you omit the id parameter, all scheduled tasks on the computer are canceled. /yes: Force a yes answer to all queries from the system when you cancel scheduled tasks. I find the FOR command to be essential, usually parsing a text file of server names or user accounts. Sure, powershell or vbscript is more versatile, but sometimes the command prompt is what you have. 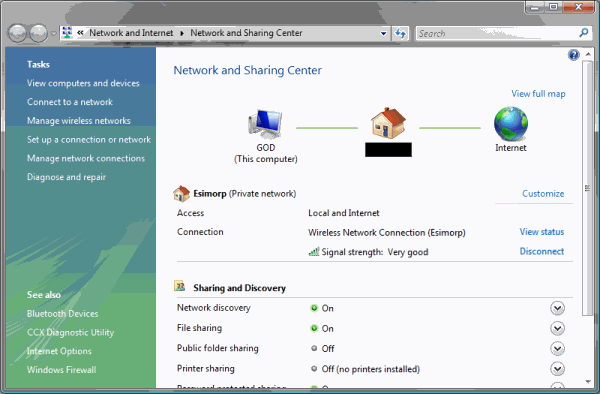 (with pstools) runs netsh on multiple servers and outputs their dns settings. Dumps out each Domain Admin in WinNT "net user" style -- doing a dsquery command would be better. Add ">>filename.txt" to each part to save in a file. The >>file format appends. You get an error on the last line from the "net group". Full command details are in "FOR /?" including string substitution, doing sequences (FOR /L %i IN (start,step,end) gives a loop where %i can be a number) and compound results. This is very handy to create as a shortcut on a users desktop. It goes straight to the "Invite someone to help you" page in the help centre. (Tested on XP/Pro Home). The Advanced Tab of the System Properties dialog. I use this regularly to get to Page file settings, Performance, Environment Variables and User Profiles. For anyone interested, Victor Laurie provides more info on this syntax. fsmgmt.msc to access File Shares. There have been a couple of mentions of WMIC, but there's a lot of power there that isn't being highlighted. Granted, much of this can be done easier now with PowerShell, but if you don't know PowerShell or aren't able to use it for whatever reason, then it's WMIC to the rescue! You are able to use many of the WQL keywords. For some reason a nice well-documented syntax on how to use these on the command line in conjunction with WMIC is not found anywhere. // List the HotFixID, InstalledBy and InstalledOn properties of the ones that begin with "KB9"
wmic qfe | find "981793"
wmic qfe where "HotFixID = 'KB981793'"
Display, start and stop services! Very useful when you have a group of related services that you need to stop/start. wmic service where "DisplayName like '%McAfee%'"
Not the answer you're looking for? Browse other questions tagged windows command-line-interface windows-command-prompt or ask your own question. What are useful Command-line Commands on Mac OS X? How would one programmatically kill an application? CTRL down on reconnect - Is this a bug in Remote Desktop?